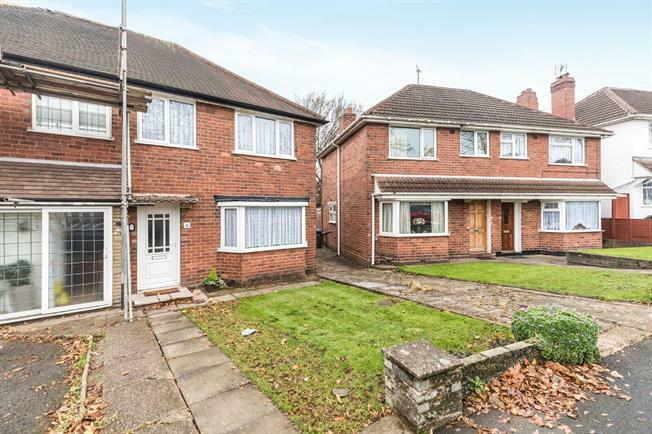 3 Bedroom Semi Detached House For Sale in Birmingham for Offers Over £155,000. This exceptional accommodation in brief comprises: entrance hallway, living room, dining room and modern fitted kitchen. To the upper floor three bedrooms with family bathroom. Externally the property benefits from a driveway and well maintained rear garden. Internal viewing is highly recommended to fully appreciate the accommodation on offer.